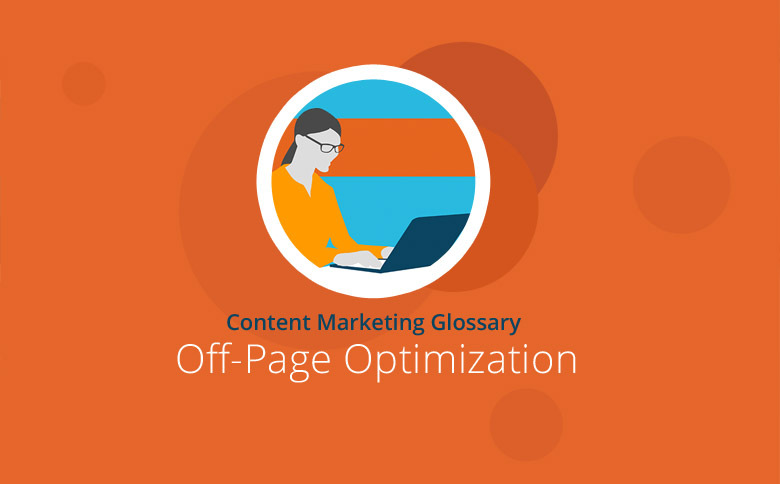 Off-page optimization is part of the search engine optimization (SEO) process and is regarded as the counterpart of on-page optimization. It includes all requirements external to the website that a webmaster must meet in order to achieve good results on the search engine ranking pages. A website can be optimized “on the page” (onpage optimization) for search engines like Google. However, the optimization of external elements beyond any particular website play an equally important role. This specific area of search engine optimization – off-page optimization – primarily covers all activities designed to promote link building. In addition, social signals (in other words social media data) and good brand marketing are mentioned as other possible off-page factors. For a website or a company, the aim of off-page optimization in principle is to cast the net as widely as possible, to increase site visibility and to ensure their online presence continues to capture all the web traffic it possibly can. When off-page optimization is conducted as Google recommends, an individual website owner can only exert a limited influence. Nevertheless, the user can still have some influence over certain SEO elements. The aim of link building is for a website to gain the highest possible number of backlinks from quality sites. There are various ways to achieve this, which Google to some extent welcomes. Search engines prefer website backlinks to build organically because this provides high-quality content users voluntarily link to. This type of link is therefore a clear recommendation from the user. Methods like link buying are frowned upon, and search engines like Google can penalize this practice by lowering the site’s search engine ranking or even removing it from their index. Other methods may be considered more or less acceptable but do not impact ranking. These include tactics such as website owners manually entering backlinks in forums, catalogues or comment fields. Not every backlink will have the same impact: Google assesses the strength of a link based on various factors like the link placement, the number of links from one source and, above all, the credibility of the linking website. Just how valuable a link really is for off-page optimization and website rankings has been discussed endlessly, and the view that backlinks are becoming less influential is becoming more and more popular. Social signals are generally understood to mean “signals” appearing on social media that point towards a particular website. So how many Likes does it take to make a valuable contribution? How often must users retweet a marketing message? Or how does Google+ evaluate a company? Blog comments or article reviews are also regarded as social signals. How important these signals are in terms of ranking is debatable. Many experts suggest Google doesn’t take them into consideration, but they do offer a positive correlation. Others believe there is no direct link between good rankings and the existence of many likes and +1 totals. Yet even Google emphasizes how important positive social media signals are. Whether or not social signals now play a direct role in off-page optimization is unclear. Nevertheless, social media improves website attention, traffic and user engagement. So companies should be present and active on social media. Off-page optimization is reputed to indirectly support PR, marketing and brand management, and Google favors companies that are viewed as authoritative and opinion-leading. So strong brands will find it much easier to achieve good positions in SERP listings. A high search volume for a particular brand name, or the frequent mention of a company on social networks, can strongly indicate that a brand is well-known. In addition, many backlinks, lots of online activity and a high number of followers on social media can all be cited as powerful proof of a strong brand awareness and brand identity. Likewise, positive user signals such as long stays and a low bounce rate can be signs of satisfied visitors, once again confirming the authority of a company. As with onpage optimization, there are many SEO tools available to analyze and evaluate the off-page environment. These can measure how many backlinks are made to a website or offer a breakdown of a site’s user signals on social media. Many programs and tools from SEO experts like Searchmetrics, Ryte, Moz or SEMrush can offer both onpage and off-page optimization. In addition, some providers like ahrefs also have more specialized off-page applications. The Google Search Console provides ratings based on backlinks. Among other features, users have the ability to view linked pages, which is a useful method of optimizing your own website. Backlinks seem to be an important criterion for Google rankings. Even social signals and the building of a strong brand can help a website to achieve good rankings. At the same time, SEO experts believe questionable off-page initiatives have less impact when they are conducted “legally.” More important are user-community decisions about which sites offer the best value and which brands are worthy of attention. Companies are advised to focus on quality content, good usability and strong customer loyalty for more backlinks, better social signals and thus improved SEO results.